This recipe is great for after school snacks, play dates, and parties. It is a great way to entice everyone to eat their servings of fruit for the day. 1. Add the 8 oz. of whipped cream cheese, 1/3 cup of packed brown sugar, 1 teaspoon of vanilla, and 1/2 cup of crushed toffee candy bars to a medium size bowl or container and stir until thoroughly mixed. 2. Serve the Toffee Fruit Dip with your favorite fruit. So, I am going to nee to buy all the ingredients for this so I can make it STAT! It sounds awesome!! YUM!!! That looks so good, and doesn't take a lot of ingredients!! My son will love this! Pinning! I have a little party next week, and I know that this dip will be a big hit. How can it not be? I'm a fan of any recipes with candy bars! I love toffee bars so this is right up my alley. It sounds absolutely delicious. I've never tried toffee dip. Interesting! I love my rubbermaid set - I have the same one! Rubbermaid is a really great product and a Tupperware alternative. It's nice when you want to leave something behind you know you might not get back without worrying about paying the mortgage. This dip also seems outstanding so I'm going to be checking that out immediately! I like that the platter is lightweight - great for even kids to help out without worrying! And the recipe - oh my, will be pinning!! Yum this sounds absolutely delicious. That party platter would be amazing for all my events. This sounds like an awesome dip! I also really like the Rubbermaid container you're using. It would be so handy! Yummy and easy! makes a perfect after shcool snack! This looks really great. I will have to try it! This is delicious! We dipped pretzels,it was awesome. Excellent recipe this time of year! Thanks for sharing! 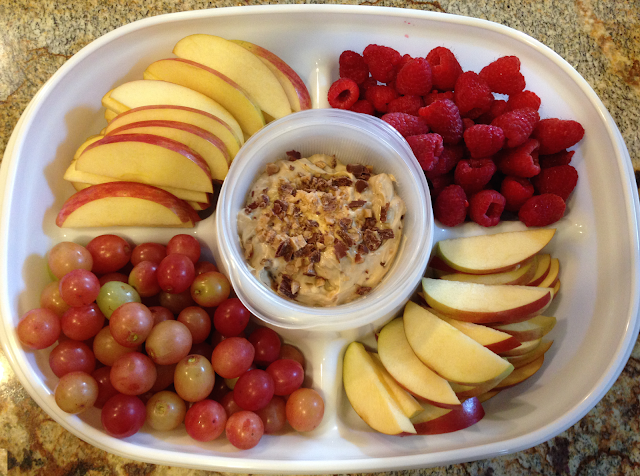 I'm always looking for easy and delicious snack ideas for my kids. 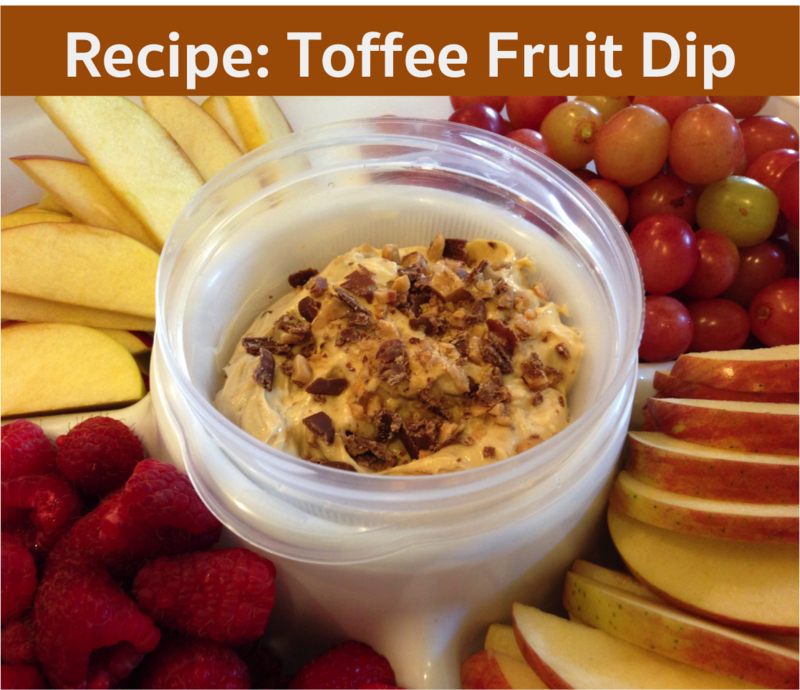 My kids LOVE fruit so I know they'd love this dip. I'll definitely have to make it soon! I think I could try one of these for an after school snack. But I don't know if there would be much left for the kids once I get to it!